It doesn’t show in the polls, but Charlie Baker’s argument for why he should be the governor is a very strong one. He made that quite clear when he spoke last night to 200 people gathered at a fundraiser in his home town of Swampscott. Giving managerial autonomy to school principals is the core reform that Boston “interim’ superintendent John McDonough has put in place. It’s a reform that almost everybody supports. Baker is the first governor candidate who I have heard address this issue. You will notice what Baker did not say. Nothing about too high taxes, nothing about small government, nothing but cities, city issues, city problems. He’s right. The Democratic candidates for Lieutenant Goverbor, especially, albeit well-meaning citizens, fall way short of Polito’s ten years in the legislature and service as a town selectman. Nor have any of Democratic candidates for governor, not even Don Berwick, anything like the wide-ranging experience that Baker can claim. The Swampscott audience — all kinds and ages of people, too — loved Baker’s speech. 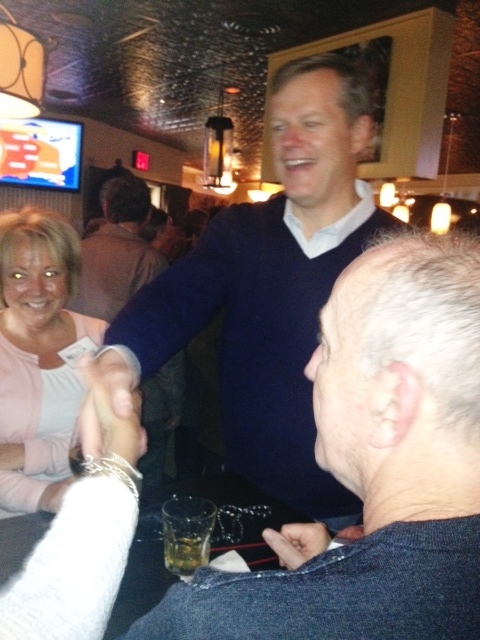 So what does Baker’s Swampscott pronouncement say about his chances of election ? It says a lot. Right now he polls 30 to 32 percent of the vote; his chief potential November opponents poll an average of 37 and 49 per cent. These are daunting numbers; baker will be campaigning uphill all the way to election day. yet if he can stick to his current message, addressing city problems to city voters in a city way — and adding his quite forward ideas on technology transformation of state administration — he has a path to victory. It may be his only path to victory. 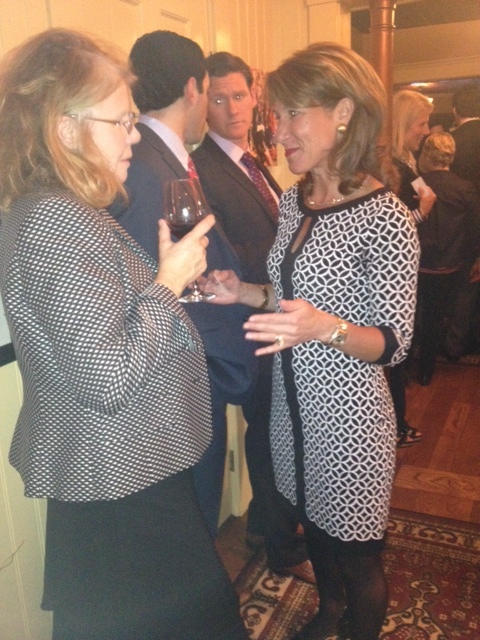 It is also exactly what the next governor needs to make his priority, his commitment, his work to accomplish. Because it is in the cities of our state that the future is being talked out, decided, and made. We all know now, thanks to Thomas Pikettty’s Capitalism In the 21st Century, what many political economists have been opining for several years now : that growing disparity of incomes threatens the growth, the effectiveness, the very stability of the economy we live in. 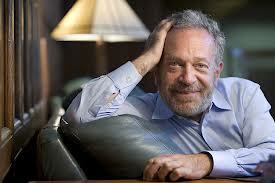 Robert Reich blogs almost every day about it and has highly useful suggestions to make. Paul Krugman opines about it — and other economic events and decisions — and almost always gets it right. 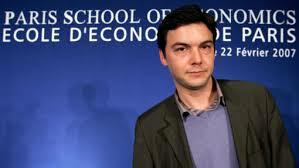 What French economist Piketty has added to the discussion is to show, at length, that ( 1 ) the fruits of commerce almost always tend to go chiefly to the top and ( 2 ) the process is fundamentally absurd. By “absurd,” I mean that income equality grows hyperbolically : the more unequal the apportionment, the faster it grows still more unequal, until almost all income goes to hardly anyone but a very few. This happens because the generation of income is a dynamic process; the momentum of it controls the process. We see this quite clearly in stock markets, where “uptrends” — and “downtrends” — of stock prices tend to increase ever faster the higher they go, as more and more speculators get aboard the trend, until they end in a “spike” top or “spike” bottom. Stock prices are a particularly pure form of hyperbolic money momentum, but the same trend dynamic applies, albeit more gradually, sometimes interrupted, to almost every economic enterprise in which transactions occur. The disruptive consequences of price trend spikes and of boom and bust economics became quite painfully known to advanced nations a long time ago. from the 1870s to the 1960s, such nations either enacted corrective legislation or underwent revolution; some did both. In the USA we set up the Interstate Commerce Commission to regulate railroad pricing; established anti-trust laws to curb monopoly; set up the Federal Reserve Bank to backstop the nation’s money supply — and, in the 1930s, to impose “margin” requirements (limits on how much leverage a borrowing buyer could take) on stock and bond speculators. We enacted much labor legislation to protect workers seeking to organize and bargain wage and benefit contracts collectively. We gave the Federal Reserve the power to establish national interest rates, to stimulate an economy in recession or slow down an economy going into boom mode. We introduced the graduated income tax and estate taxes, to slow down income accumulation and cut down the power of inherited concentrations of money. 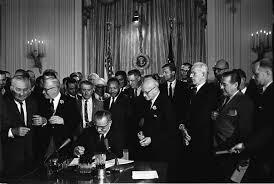 We passed the Glass-Steagall Act, forbidding depository banks from using depositors’ money to speculate in securities. Canada enacted many of the same reforms. western European nations did the same, or imposed stare ownership on many industries along with extremely generous wage rates and high taxation. Some nations tried all-out state economics, centrally owned and state controlled. This model went too far,. innovation was discouraged, experiment feared, diversity prosecuted. The model failed. The other two models worked well until about 20 to 30 years ago. Then came the internet, and speculation fever, after the collapse of which speculative money, as yet unstated, bought into the mortgage market and, as we know, into the speculative trading of mortgage bonds and other mortgage-backed instruments. This activity collapsed, but the vast income inequality it generated did not. Publicly traded companies are hounded by speculative money pools that own their stock, to maximize short-term profits, as short term as the rapid fire trades that pressure these firms. Firms found that they could grant enormous stock bonuses to their top executives in turn for maximizing short term profits and thus becoming favored by speculative money pools whose buys boosted these companies’ stock prices — which in turn made the stock option bonuses that much more valuable. The surest ways to maximize quick-month profits are to skimp on research, pay workers as little as possible, and do stock buybacks. All are favored methods for companies whose stock is traded, to CEO advantage, by speculative money pools. Hence the absurdity. Money is generated by speculative trading, which makes money for the CEO’s stock options, which in turn assure that he will run the company to the purposes of the speculators. And the speculations’ money, instead of investing in new products, or creating new industry — which is what investment money is best used for — invests basically in itself : money buying money which buys money to sellers who pay money to buy money sold to them. By this means money is, basically, taken out of the economy entirely to chase its own tail. Meanwhile, the 99.9 % of people who have to live by a paycheck — or by public assistance or retirement funds, most of it in forms of social security — find hardly any additional money accruing to them. Between jobs outsourced, layoffs, and outright wage theft — and by making workers be “temporary” status, this eliminating their benefits — companies maximize the amount of money they can spin into the speculative tail chase and into CEOs’ stock option increases. You would suppose that companies’ own stockholders would reject this policy. They would, except that today the huge money pools own as much a 90 % of all the stock of such firms; they control every part of the company’s money usage. Not all publicly traded companies suffer money masturbation. Some, like Costco, practice an opposite policy : pay workers generously, limit the CEO’s pay enormously. Companies in which the founding family retains a “control block” — like the Pitcairns of PPG Industries, or the Lilly Foundation of Eli Lilly — also resist being masturbated. In these firms, investment in employees and research takes precedence. Firms operating in enterprises requiring high skill — oil and gas, technology, aircraft — also manage to avoid being jerked off. Thus the economy doesn’t completely fold in upon itself — yet. 1.Reform corporate governance laws so that stock can only vote if owned bona fide by individuals, not money pools or other institutions. 2.raise the minimum wage to a living wage level : $ 15.00 an hour, or, better yet, to a stated proportion of the median income for each state. 4.Grant the “Fed” power to impose margin requirements on the buying and selling of all traded financial instruments, not just those traded on formal exchanges. 5.make the classification of employees as “temporary” or as “independent contractors” an unfair labor practice, and fund the NLRB to enforce labor laws by earmarking receipts from stock transfer taxes to the NLRB (and SEC) enforcement personnel and expense. 6.Impose a surtax on firms that move their incorporation offshore. 7.give the “Fed” regulatory power over interest rates and fees charged to consumers by credit card grantors, similar to the regulatory power that state utilities commissions have over public utilities’ rates. 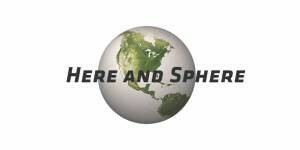 8.move universal health care to Medicare single payer administered by Medicare and Medicaid staffs. 9.make student loans a grant in aid, like Pell Grants, renewable each term upon performance. You will notice that my list does not include the penalty taxes suggested by Robert Reich and which have been proposed in California. That’s because tax costs can all too easily get passed on to consumers — example : cigarette taxes — and thus fail of the effect intended. The basic principle of my reforms ? simply this : the economy must work for all, with reasonable fairness, or it can’t work at all. And by the way : remember that I mentioned Canada toward the front of this story ? I had a purpose : that nation did not allow the speculative practices that we set afoot 20 years ago, nor the banking excesses. Canada’s banks remained “boring,’\” and today, our neighbor to the North has the best-paid middle class in the advanced world. So said today’s Boston Globe; the announcement wa also liberally tweeted. We are glad to hear of this. We fully approve. In 1980 the entire Federal prison population totaled 24,363. Today 216,285 people live in federal prisons. Over 2,2000,000 people live imprisoned in America’s federal, state, and local prisons. It’s by far the highest number of any first-world nation. People live their whole adult lives in American prisons. Prisoners aged 65, 75, even 85 and 90 years old abound in America’s jails. Hardly any other civilized nation keeps people locked up in old age. we do. Why ? Aged prisoners are expensive to keep; much of their time is spent in hospitals or being medicated (when they’re not simply left untreated, maybe to die). Finally, after thirty years of wielding the lock and key, the shackles and cells, our federal government — and a few states — are saying ‘enough.” Prison henceforth is to be strictly for the violent felon. That’s how it should be. The pardon power and the authority to grant clemency have been central to governance since Roman imperial days and before. They are venerable, not novel. Presidents used to use their clemency and pardon powers liberally ; let punishment of crime use the stick and. in some cases, the carrot. 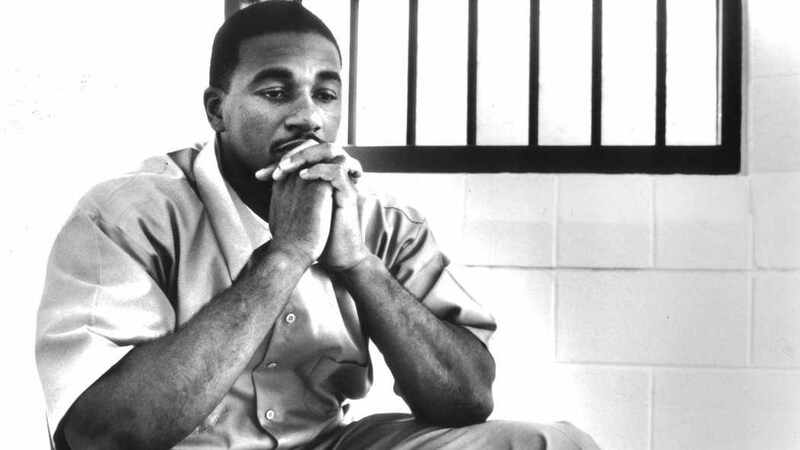 But of late, through rear of what happens when a prisoner granted clemency commits a horrendous new crime — one thinks of Willie Horton in 1987, a murderer who, while on furlough, killed again, heinously — politicians have become unwilling to pardon or be clement. President Obama, accused by opponents of being a radical leftist (which he most definitely is not), has pardoned almost no one. 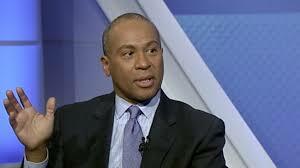 The same is true of our own state’s Governor Deval Patrick. This was, and is, a huge mistake. Sentencing itself has been revised in recent years. 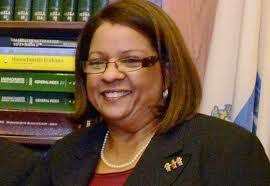 Gone are the draconian penalties attached to drug dealing; drug use has become almost accepted. States and the federal government have seen that drug crimes are more a matter of taste than criminal minds. In this era of stringent government budgeting, the cost of trying and imprisoning drug offenders looks quite unacceptable. The pardon and clemency now being planned thus arises from financial rather than moral considerations. This we dislike. Clemency and pardon are moral decisions, a hand of friendship, a restorative by which offender and community are re-united. The financial motive at work today does matter; government has an obligation to spend wisely. but the cost savings in clemency and pardon fall far short of the moral benefit of granting them. we hope that when the federal pardons and clemency now being assessed are finally on the president’s desk gor signing, he will add to his many signings many words of restoration, re-union, and rightfulness. We like to think of our state as a beacon of progressivism. 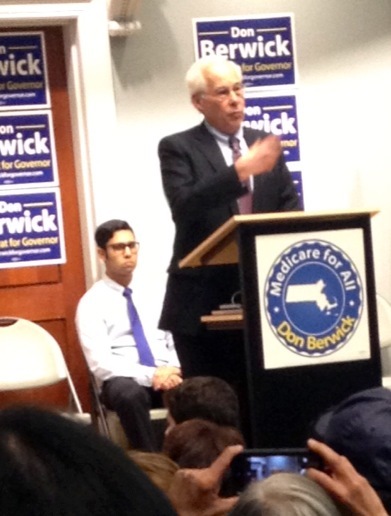 Don Berwick, a candidate for governor, calls us that. Our history justifies the call. Unhappily, we do not always live up to our reputation. What has happened these past years at Bridgewater State Hospital shames it. The death of Joshua Messier, a young schizophrenic, at Bridgewater, is known to all of us thanks to much recent media attention. Some have called his death at the hands of Bridgewater employees a homicide. Even if not that, the death should never have happened. Frankly, Messier should not have been placed in the Bridgewater we now learn about, a horror in which residents are abused — tortured, as an editorial in today’s Boston Globe makes clear. It is time to close Bridgewater entirely and to establish residential options for all the people now forcibly kept there. The movie exploded into public discussion, sensationally; but from it came what we thought was major reform. Cerrtainly the systematic torture of Bridgewater patients was curbed, the worst abuses put an end to. As the op-ed by Roderick MacLeish and Stephen Delinsky describes, mentally ill people at Bridgewater are isolated, tied down, denied any diversion at all, restrained perhaps for two days, forced to defecate into a bed pan. Mitt Romney was our governor when that was done. As I stated at the beginning of this editorial, candidate Don Berwick has much to say about Massachusetts being progressive. He proposes many initiatives that seem quite extreme — some of them unwise. Even if one thinks them worthy, one hears not a word from Berwick, who is a pediatrician and touts his proficiency in health issues, about Bridgewater or the state’s abuses there. If a man like Berwick does not speak up, who in power will ? Charlie Baker ? Maybe. We shall see. It is time for Massachusetts to close Bridgewater entirely and thus extinguish forever the culture of abuse that dominates it. House the criminally insane in a new institution established with rigid guidelines for treatment first, custody second. Offer comfortable residential options to mentally ill men with no criminal history, staffed by health care professionals, not prison guards. Appoint an ombudsman to monitor the enterprise. And pay substantial financial compensation to those who have suffered at Bridgewater, in some cases for many years, along with a full, public apology to them and their loved ones. In Massachusetts, we do usually get it right. But only through constant vigilance do we keep the vehicle of progress moving up the road. It’s time for some serious keeping. Let’s do it. BOSTON FIREMEN’S NEW CONTRACT : HOW MUCH WILL IT COST ? April 12th was an auspicious time for the Boston Firemen’s Union and Mayor walsh to announce that they had reached agreement on a new contract. Barely a week earlier, two of Boston’s justly beloved firefighters were kkilled in the basement of a horrifically burning Back Bay building. We all watched the news of those deaths, Lieutenant Ed Walsh and fireman Mike Kennedy, with sadness — but in gratitude, also, for the heroism of the men who were just doing their job, as heroes like to say. It would only human nature for us to be in a most generous mood toward the members of Boston’s Loacl 718. Then came the announcement that a contract had been agreed upon. No arbitration, no conflict, no drama, just as Mayor walsh had said that he could do. 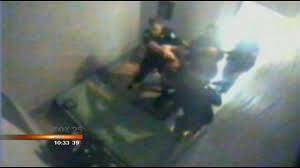 One clue may rest in the agreement recently made withy the Boston Police Superior Officers Union. It calls for raises that, according to the Boston Globe, will cost the City $ 34 million over a six-year period. The Superior Officers and Detectives Union has 360 members. Local 718 Firemen has many more than that. The Union’s 2010 contract, finalized only after arbitration, ciost the City $ 87 million. 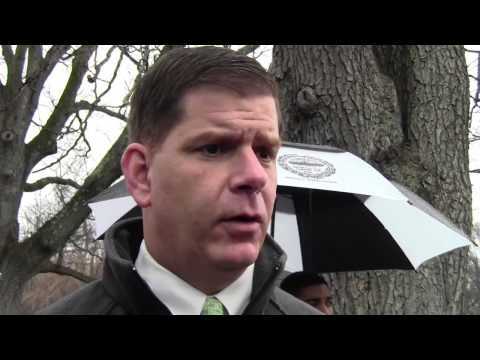 Mayor walsh and Local 718 share a common political interest in reaching agreement, as they have, without oiutraging the City;s budget. The Union doesn’t want to be seen as rolling walsh over, for taht would lead to his being defeated for re-election, and the Union does not want to see an enemy in City hall. So the question is : how big a contract win can the new agreement be and not outrage the City ? $ 87 million was very controversial in 2010. But the City;s economy was still in recession then. today the City is doing very well. The City’s patrolmen’s Union won $ 87 million as well; and that award was received even more angrily than the 2010 Firemen’s contract despite a better City economy. My guess therefore is that the agreement with local 718 will cost less than $ 87 millilon; perhaps significantly so. If i am right, Mayor Walsh will have taken a significant first step toward re-election in 2017. Not to mention acquiring some wiggle room to be bold on the City’s most difficult issues ; schools reform, public safety, and pathways out of poverty in which far too many Bostonians find themselves stuck. ELECTIONS IN AN OLIGARCHY : WHAT WILL THEY BE LIKE ? Those who read Thomas Piketty’s capitalism In the 21st century — and we all should read it — will find much that has already been said by Robert Reich, by Paul Krugman, and — above all — by John Maynard Keynes in his magisterial Economic Consequences of the Peace. (the “Peace” he was writing about wa the Versailles treaty that ended World War I. With its consequences we still live.) Keynes’s work should be read even before one starts on Piketty: in it one finds that exquisite meld of politics with economics that define how money moves in a political environment; and as we all live in a political environment, keynes describes how all of us find money moving. 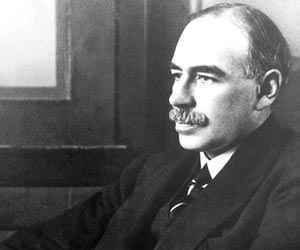 The politician of Keynes’s day didn’t study eceonomics much. they were about making political agreements; the money part was set forth in the terms they knew best : transfer of territory, which had been the subject of treatiers for hundreds of years. Today we know better. We know that transfers of money are in no way like transfer of territory. Land is but a carpet upon which (or in which) people do their business. Money, however, is the means of that business and its fruit; and its power. to transfer billions of dollars in reparations, as the Versailles treaty sought to do, was to transfer not just some land but the entire life work of a nation. Today, no one would think of doing that in a treaty. it would make a future war almost inevitable — as the Versailles Treaty in fact did. But if international agreements no longer transfer the economy of one nation to that of another, money does continue to get transferred, both between nations and inside each of them. This sort of transfer Adam Smith and Karl Marx both saw and discussed. But we have moved beyond the ultimates of both these writers. we now know that there is no permanent cure for the imbalances in money transfers; that imbalance is the dynamic, always, and that only political action can balance it. The correct analogy is to the NL and NBA. Every year these sports leagues conduct a drag of newly graduating talent. the order of pick goes from weakest team to strongest; and thereby the league retains balance, preventing the rich teams from forever perpetuating themselves. A kind of equality is assured. The weakest-first draft happens not by some voluntary generosity. It happens because the leagues are governed by the entire body of tem sin it. as there are more losing teams than winning ones, the losers rule. You would think that that would be the case in our democracy too. There are far more people with small money than those with big money; and the numbers on each side grow ever more apart. How can a tax system not be enacted, that graduates from tax credits for small earners to high rates of tax for top earners ? That taxes large estates much more vigorously than we do ? How can our politics not ensure living wages to those who work, and universal benefits to those who live in our nation ? The answer we know. These outcomes do not get enacted because the money winners all vote, and all donate, and all lobby every politician, constantly; while at the same time, the small earners either do not vote, or are divided in their vote because they are distracted from the main chance by issues of culture, faith, or mere mindset. Right now all the momentum is to increasing dominance by large money, large earners, large organizations. Upon this vision is directed, right now, the attention of Paul Krugman, Robert Reich, Thomas Piketty. It need not be so. History makes clear that oligarchy does not make economic injustice invincible. There have always been some oligarchs who sought to curry favor with ordinary people by enacting laws that benefitted the many. This was the case in Leo the Isaurian’s Byzantine Empire; in Lorenzo de’ Medici’s Florence;. in numerous communal movements in medieval European Cities. it was the case in our own nation at its founding, and both Teddy Roosevelt and Franklin Delano Roosevelt were money oligarchs with a moral and a political commitment to social justice. Of course it would be better for average people to govern ourselves and to enact economic regulations that balance money between labor and capital. But are we to reject fairness laws because they’re enacted by hugely wealthy oligarchs ? I think not. the power to do good requires money just as the power to be selfish. Witness the work being done by the Clinton family in its Global Initiative. Still, in an oligarchy, things often become aggressively unjust before the tide turns. Often it turns by revolution, not election. the history of medieval cities is full of such violent changes of policy and rulers. And yet : our nation does not lack for oligarchic balance. For every pair of Koch Brothers there is a John Singer; for every Foter Freiss, a MacArthur Foundatilon; for every Heritage foundation, a Clinton Initiative; for every Wal-mart, a Costco. Economic fairness is far from finished even in an oligarchy. 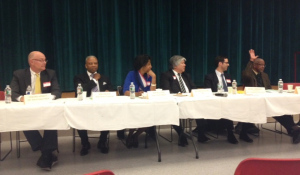 Last night Democratic governor candidate Don Berwick held a “Medicare For All” town meeting at Bakst Auditorium in Boston University Medical School. The site was appropriate, and as a pediatrician, Dr. Berwick is the right candidate to discuss “Single Payer.” Unfortunately, in almost two hours of explanation and question answering, Berwick didn’t tell us how to get there, nor did he say much about what “Medicare for all'” would look like as a program specific to Massachusetts. Berwick did make clear that he wants single payer; that ‘all means all,’ and that that would be a priority were he to be elected governor. He said that Massachusetts’s current universal health care — which he congratulated our state for being first in, without mentioning that it was done by a Republican governor — is too costly, too confusing, too opaque; that we spend ten times as much on administration as we should; that with a single payer system, 90 % of that administrative cost could be devoted to actual health care; that the coding and bill processing burden takes up far too much of health care professionals’ time; and that it’s almost impossible for users to figure out the rules for what is or is not covered. He was much applauded. Clearly his supporters do want single payer. So do many of us. We all know what Medicare is and many of us know how cost effective a system it is. But Medicare is a Federal operation. Berwick seeks a single payer system that would operate only in Massachusetts. Last night he said that it would work better on a state level: but as i have already noted, he said nothing at all about how it would work, who would administer it, how it would be paid for. He of course said nothing about how we would go about replacing the universal health care system that we put in place only eight years ago. There is, in Vermont, another move to establish single payer in one state only: but Berwick didn’t mention Vermont, and from what I gather, the Vermont proposal has yet to be worked out. If he has answers to these questions, he needs to start giving them soon. Otherwise it will be hard to give serious attention to an issue that only he, among all 6 serious governor candidates, has raised and which I do not hear high on most voters’ list of priorities. That said, there’s no denying Berwick’s commitment to cost-effective, simple to understand health care for all. And to “medicare for all” being a social justice issue too. Over and over he emphasized that health care should be a human right. Who could not be moved — I sure was — by the story he told, at the event’s end, of a 15-year old African-American whom he helped cure of leukemia, a disease almost always fatal at that late age ? “we threw the book at his leukemia and we cured it,” Berwick said. “But what happened to that young man ? He ended up later on dying on the streets.